Can Prayer Make You More Successful? I had a discussion with some friends recently about prayer and whether or not there’s a point to it. We all agreed that many people misuse prayer for things like getting a good hand at the poker table, winning the lottery or their favorite team winning the Super Bowl. And of course, when it doesn’t work out, they blame whoever or whatever they’re praying to. It’s interesting because I believe that prayer, when done correctly, can be extremely effective – and not in the big miracles that many televangelists show so you can send them money, but in everyday life. Even if someone is an atheist or agnostic, they can benefit by doing the same process (for example, a lot of the Law of Attraction folks like to pray to the universe). Prayer is a common theme in many classic works related to motivation and self-help. Granted, at the time of their writing, our culture was more religious, but even newer works recommend prayer-like rituals that are considered non-denominational such as mantras and affirmations to help program yourself for success. These systems state that people who regularly perform these rituals, tend to be more successful than those that don’t. Ask for forgiveness for your sins/mistakes. Ask for what you feel you deserve. Spending a few minutes thinking about these three items each night can have powerful effects on you, regardless of your religion (and even if you’re not religious). Let’s look at each one in closer detail. Taking a moment to stop and be thankful for the things you have in life can have a positive effect on your confidence, self-worth and attitude. We live in a society where we’re constantly bombarded with reminders of the things we don’t have in life: advertisements for expensive cars & restaurants, pills to help you lose those “unwanted pounds” and “business opportunities” to help you live a life you can only dream of. It seems like each commercial break provides us with several opportunities to feel inadequate. So taking the time at the end of each day to be thankful for what we do have in life, can erase some of the “programming” that is forced upon us each day by advertisers. Asking for forgiveness is a skill that few us master (getting past admitting we’re wrong is a challenge in itself) but is an important step in our self-healing process. Taking time to think about what you’ve done during the day that conflicts with your belief system can result in decisions that can positively change your life. Whether you have a drug or alcohol problem, are unfaithful to your spouse or are forced to carry out decisions at work that are in conflict with your values, having to admit at the end of the day that you’re doing something you’re not proud of, will force you to deal with the issue. Again, many of our prayers consist of only what we want: fame, fortune, good health, etc… (often, we pray for others, which is a great thing and has other positive benefits, but we’ll save that discussion for a different post) This too is important because if you don’t know what you want, you’ll have a difficult time getting it. Taking this step alone helps you at least identify what you want, but the key word here is “deserve.” Do you really feel you deserve to be rich, healthy, etc…? There are people that make their living helping others feel deserving of all the big things they want in life. You can do this on your own by asking “why do I want this?” and “have I earned the right to get this?” These two powerful questions will help you prioritize what you want and build your self image. 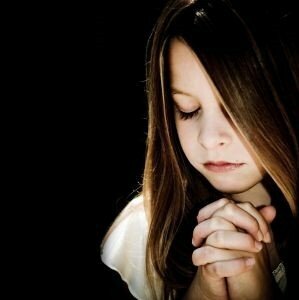 So if you haven’t prayed in awhile, consider setting aside five to ten minutes tonight to give it another try. Even if you don’t believe in God or a creator, pray to yourself (you can start with “Dear me”). If you do pray regularly, make sure that you’ve included all three parts. And if you want to maximize the benefit of prayer, do it when you get up in the morning as well – this will help you start your day in the right frame of mind. Remember, all it takes is five to ten minutes each day and you’ll see some powerful results.